The lovely Rachael from Island Girl Insights recently asked me where I get all of my free samples (that I often review) from. I often find a free sample is a great way of trying a product and often makes for a great review too! Whether you received it through a PR or through your own doing, it’s great to be able to try before you buy. I thought I would compile a little list of places where I find them, so that you can benefit from them too! 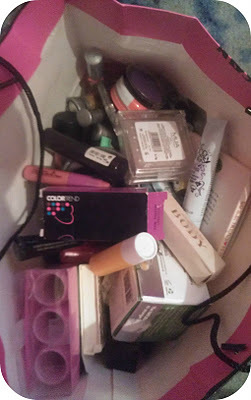 Here’s a little look at my To Review bag, most of which is filled with free samples, magazine freebies or giveaway wins! Remember: Facebook is your friend. First things first, what kind of samples would you like to receive? Beauty, fashion, stuff for the home? Keep an eye on your favourite brands and their Facebook updates, as often brands post about a free sample and many people miss it. Who can forget the free sample of Burberry Body perfume given out from the Burberry facebook page, which surprised us all by its size? Recent samples I have received or ordered from various brand Facebook pages are Herbal Essences products, Garnier BB cream, the Burberry fragrance mentioned above, and many more! Look out for specific freebie websites/Facebook pages. I know, I know – not everyone is a fan of these, but as a makeup addict and a mum, I know that free stuff often helps. 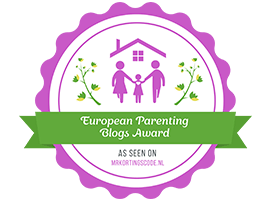 Websites like MagicFreebies and FreeStuffWorld compile the best free samples of the day, and I have received many baby products through using this site – I have nappies, nappy creams and much more spilling out everywhere! Don’t ditch the magazine! I know plenty of us make use of the freebies that come with magazines, such as the recent Nails Inc polishes with Glamour magazine, and the Kurt Geiger giftcard with Elle, but how many of you remember to take the little sachets of perfume and cosmetics out of your magazine, before passing them on or recycling them? I bet that it’s not as many as you would think! I try to always remember to take these out before recycling, as they are another great way of trying a product you’re interested in, without forking out an extortionate amount of money. Don’t be afraid. You want to try that great new product from the luxury beauty counter, but the sales girl slightly intimidates you? Don’t be scared! Although not all sales assistants love to give out samples of their products, most generally will because they realise that if you LOVE the product, then you may just come back and purchase the full-sized product from them. Yu wrote a great post here about how to sample haul. Look out for the special offers at your local stores. Obviously, if you don’t drink Diet Coke on a regular basis, then spending near enough a fiver just so you can pick up two exclusive Models Own lipglosses may seem silly, but to those of us who do drink the stuff regularly, the lipglosses (and Nails Inc polishes from a previous promotion) proved a great freebie! Only spend money though, where you would normally be spending money. I’d hate to advocate reckless spending, hence why I say that it seems silly to buy certain products to get others free if you despise what you’re buying! Don’t be scared to respond to PR tweets. If you see your favourite or even a new brand offering free samples to review, where’s the harm in registering your interest? You may not necessarily be chosen, but you’ve shown an interest, which is always great. I’ve never done so, but I know bloggers who have occasionally contacted PR’s themselves asking about products to review. Myself personally, I like to respond to tweets put out there by the companies themselves, rather than asking them myself, but I don’t have anything against those who do. However, if you do have to ask companies for products to review, don’t harrass them. It not only makes you look bad to the company, but sometimes, if it’s in a public domain such as Twitter, can make you look bad in front of fellow bloggers or tweeters too! Although I wouldn’t consider these free samples, I often view giveaway wins as great reviewing tools. You haven’t received them for free from a brand (so you don’t feel as bad if you give a negative review), yet you haven’t paid for them which is also a win-win in my eyes. Do you collect samples? Or have you learned something from this little guide?